The monument, displayed outside the Canadian Museum of Immigration at Pier 21, is built with a large piece of natural sandstone from southern Poland, which is mounted on a granite base from Nova Scotia. 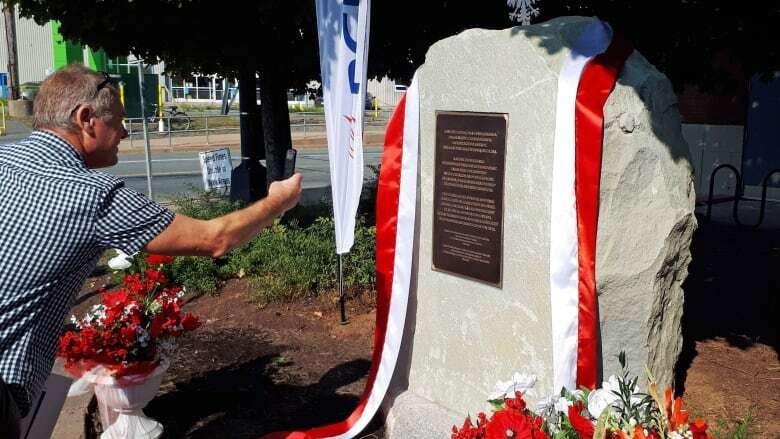 The idea for the monument came from Jan Skora, honorary consul of the Republic of Poland, who says while the monument might look simple, it's symbolic of the longstanding relationship between Canada and Poland. According to Statistics Canada, around one million Canadians claim full or partial Polish ancestry.